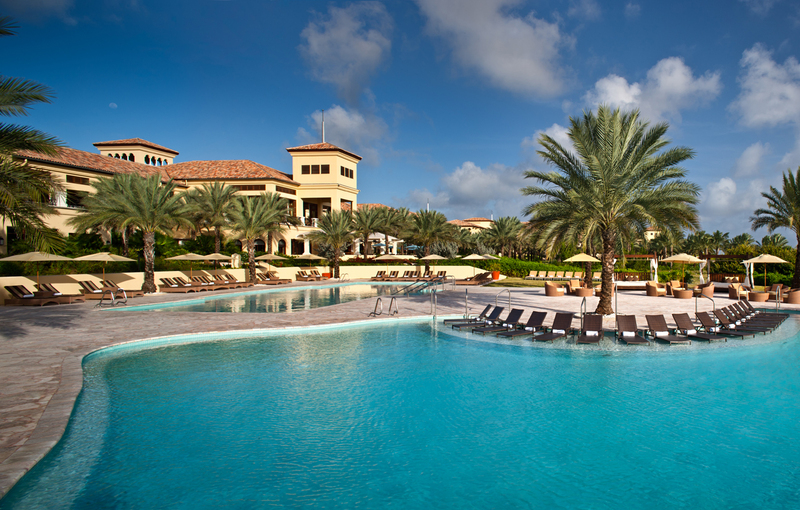 We offer you a relaxing place, perfectly situated to explore the island of Curacao. The cosy courtyard with its plunge pool, the Grand Caf in the former chapel and the personal attention you will get from our staff will guarantee a pleasant stay for the tourist as well as for the business traveller. 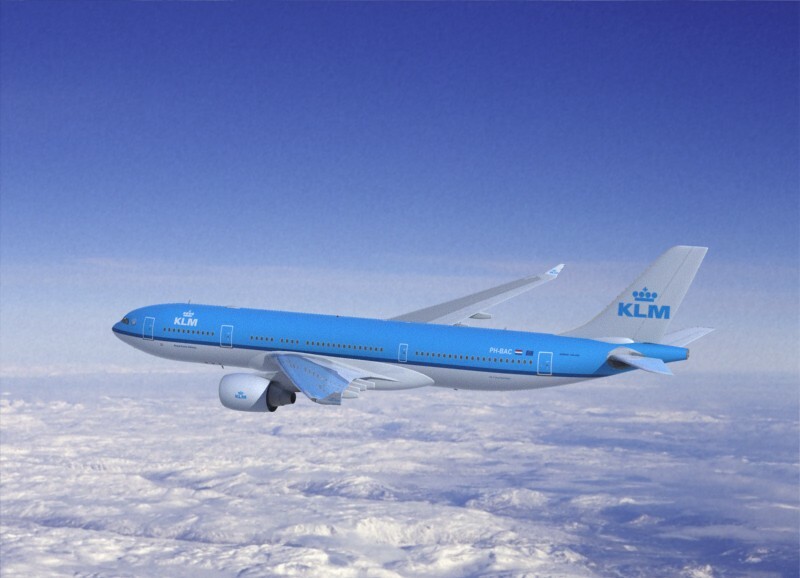 We would like to welcome you! In the courtyard, you will find a plunge pool with comfortable sun chairs around it. Of course we provide you with your pool towel. 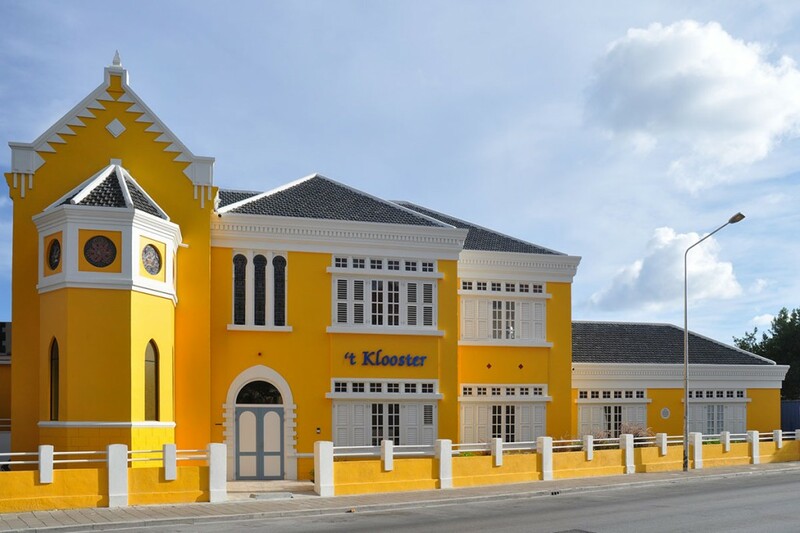 Designer suites and gardens at this all-suites Curacao oasis The Floris Suite Hotel is an all-suite boutique hotel created by famous Dutch designer Jan des Bouvrie and nestled among lush tropical gardens designed by Diana Henriques de Fernandez. Walk to the private beach to find the restaurant, bar, snorkeling, diving and more. The Floris Suite Hotel is home to top restaurant Sjalotte, featuring Mediterranean seafood and meat specialties in a romantic, open-air environment. Santa Barbara Beach and Golf Resort is a full-service Curacao Caribbean hotel, perfectly situated on a long stretch of white sand beach between two bodies of water: the Caribbean Sea and the large inland bay known as Spanish Waters. Located on one of the few remaining natural preserve peninsulas in the Caribbean, our Netherlands Antilles hotel will offer three meal and fine dining restaurants with indigenous menu creations; 4,500 square foot full-service spa, salon and a separate 24-hour Stay Fit fitness center; multiple outdoor pools, poolside grill, lounge and cabana area; an 18-hole Pete Dye designed championship golf course; and 18,500 square feet of indoor and outdoor meeting space. 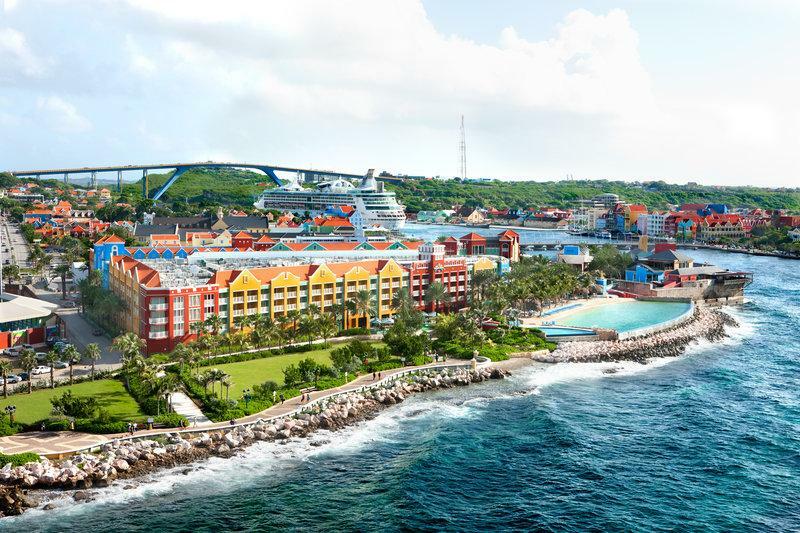 Our Resort View Curacao accommodations feature upscale living and the added bonus of two Double Grand Beds, featuring plush pillow top mattresses, sumptuous down pillows and thick European bedding. 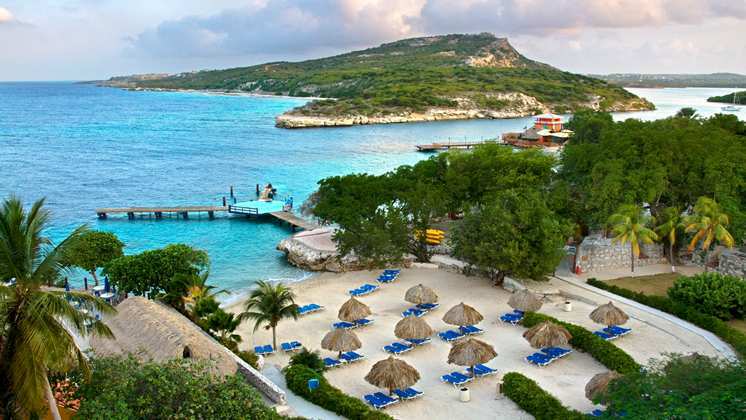 Set in 23 acres of beautifully landscaped grounds and built on an historic 18th-century fort, the Hilton Curacao hotel boasts two private white sand beaches, infinity and freshwater pools and a PADI Gold Palm dive center on the property.